"It's like Bridezilla in reverse!" Netflix has debuted their official trailer for the cheesy romantic comedy A Christmas Prince: The Royal Wedding, a sequel to the film released last year A Christmas Prince. In the first one, a journalist falls in love with the prince and ends up with plans to soon marry him. In this one, with the royal wedding ceremony approaching on Christmas night, she starts to feel unsure and isn't entirely ready to make the leap. All the while, the prince ends up in a political crisis of his own. The Royal Wedding once again stars Rose McIver and Ben Lamb from the first, with a cast including Alice Krige, Richard Ashton, Tahirah Sharif, Joel McVeagh, and Clara Ciobanu. This lead actress reminds me too much of Keri Russell, but no. This looks very sweet and campy, but maybe there's a few good lessons in the film. A year after Amber (Rose McIver) helped Richard (Ben Lamb) secure the crown, the two are set to tie the knot in a royal Christmas wedding - but their plans are jeopardized when Amber finds herself second-guessing whether or not she's cut out to be queen, and Richard is faced with a political crisis that threatens to tarnish not only the holiday season, but the future of the entire kingdom. A Christmas Prince: The Royal Wedding is directed by American filmmaker John Schultz, director of films including Bandwagon, Drive Me Crazy, Like Mike, When Zachary Beaver Came to Town, Aliens in the Attic, and Judy Moody and the Not Bummer Summer previously. The screenplay is written by Nate Atkins, based on characters created by Karen Schaler from the first film released last year. 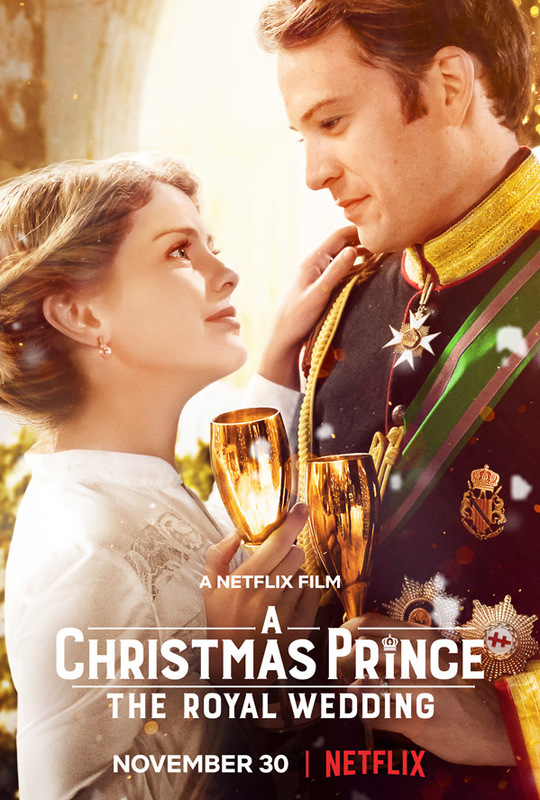 Netflix will release Schultz's A Christmas Prince: The Royal Wedding streaming exclusively starting November 30th at the end of this month. Anyone curious?